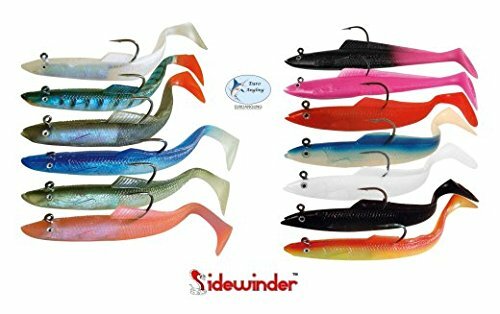 Sidewinder Super Solid Sandeels. 6 inch 25gr lures, 3 per pack. These are a MUST to have in your tackle bag. Fitted with a Mustad 32786bn hooks, and made from a special latex mix, gives just the perfect amount of movement to mimic real livebaits, neither too soft or too stiff.Better than bait!